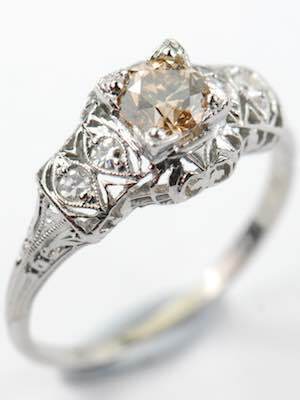 Single cut diamonds flirt with a fancy dark yellow-brown champagne diamond in this antique engagement ring. 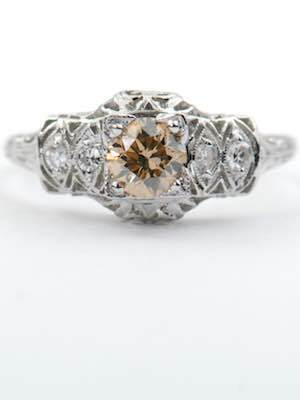 The platinum band of this Art Deco engagement ring architecturally showcases its champagne diamond. 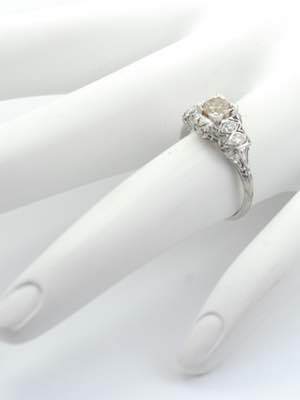 The pierced and engraved platinum mounting features bead set diamond teardrops at the shoulders. 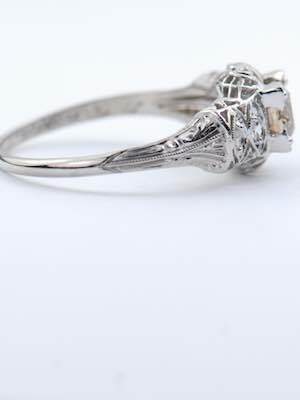 The East-West arrangement of the diamonds spreads sparkle and shimmer across the finger. Details: Antique. Circa 1930. Platinum. Single cut diamonds; 0.02 carats. 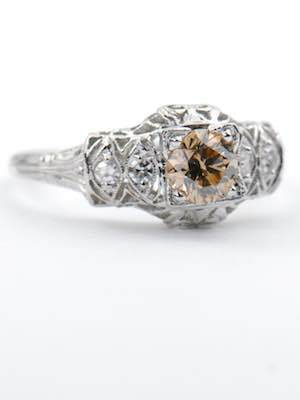 Round Champagne diamond; 0.46 carats. 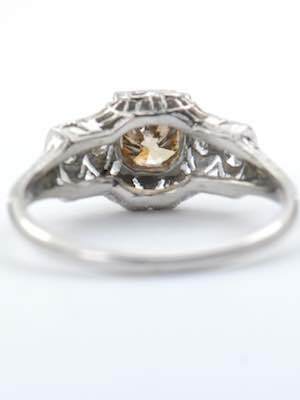 Special characteristics This classic 1930's Art Deco engagement ring has a pierced and engraved mounting which is set with a 0.46 carat round Fancy dark yellowish brown Champagne diamond. The single cut diamonds on the shoulders are bead set.